Evie Blanchard was at the top of her field in the city of angels. But when an emotional year forces her to walk away from her job as a physical therapist, she moves from Los Angeles to Hope’s Crossing seeking a quieter life. 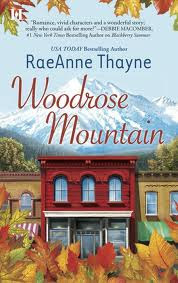 So the last thing she needs is to get involved with the handsome, arrogant Brodie Thorne and his injured daughter, Taryn. A self-made man and single dad, Brodie will do anything to get Taryn the rehabilitation she needs…even if it means convincing Evie to move in with them. And despite her vow to keep an emotional distance, Evie can’t help but be moved by Taryn’s spirit, or Brodie’s determination to win her help—and her heart. With laughter, courage and more than a little help from the kindhearted people of Hope’s Crossing, Taryn may get the healing she deserves—and Evie and Brodie might just find a love they never knew could exist. I love small town romances. What is it that makes it so perfect? I think in small towns people have the time to think. Time to fall in love. That is the case here in Woodrose Mountain. Taryn has come for the peace and then Brodie comes in crashing it down with a plea to help his daughter. She can't say no forever. I would say this book is more about Brodie's daughter's recovery and the romance is a back story. I would have liked to see the romance front and center, but it wasn't. The recovery was. Which was fine, but I was just wanting more romance. It's a quick read. Predictable, not always a bad thing. The town seems ideal and I kind of fell a little bit in love with Brodie. This is a clean sweet romance. A quick read. Sometimes the sweet predictable reads are just what we need. Sounds like an endearing book with a hunk I could fall in love with!